Ozzy Osbourne spoke to The Telegraph about the band's first tour of Australia since 1974, which is scheduled to kick off at the end of April. A couple of excerpts from the chat follow below. Ozzy: "Oh yeah, oh yeah, it's great to be back recording with the guys and playing with them." 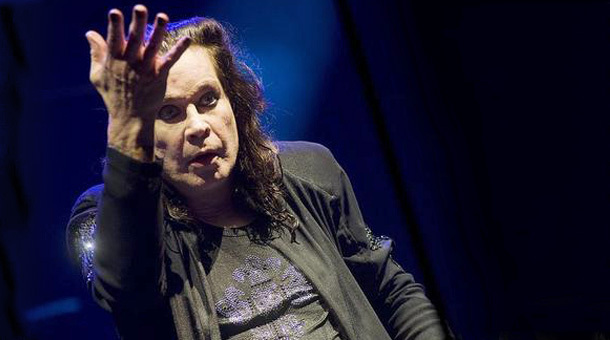 Ozzy: "I have never wanted to be serious, to have solemn music. It's meant to be fun. "In actual fact, the way that all happened with the music and the name and everything, if I can remember, is we used to rehearse in a movie theatre so we decided to try to write songs inspired by scary movies. It was all flower power and love, but for us, living in the industrial town of Birmingham, we liked scary movies." Ozzy: "I came past their dressing room and had to ask one of their assistants if they were taking the piss out of me because they were playing Black Sabbath. For someone to tell you 'Black Sabbath changed my life' is a weird thing to get your head around." Ozzy: "I have some great memories of Australia; I remember getting off the plane and this little girl comes running up to me with a T-shirt that said 'Bugger Off Pommy Bastards'. I knew we were in the right place."